We're pleased to announce the pairing of two outstanding solutions: SugarCRM and AvaTax. From the press release, "SugarCRM customers can now use Avalara's AvaTax capabilities from within Sugar's existing workflow to automatically calculate the final sales tax amount on every quote. This eliminates the tedious work and complexity of calculating taxes across multiple jurisdictions and helps businesses focus on their core offering." Initial reactions to the connector have been very positive. 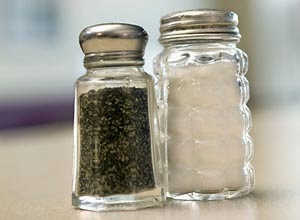 One unnamed source ranked the duo slightly behind "salt and pepper," but just ahead of "love and marriage." He concluded by saying, "I suppose it's possible to have one without the other, but why?" (So that last quote was a joke, but trying to manually comply with the rapidly changing sales tax landscape is no joke at all.) For many professionals, calculating sales tax remains a manual and error-prone process, and one that increases the risk of sales tax audits, penalties, and fines. The last thing that sales reps need is the hassle of manually calculating sales tax. It's cumbersome, inefficient, and error-prone, leading to delayed or lost sales and angry prospects and customers. Now, with the integration of SugarCRM and AvaTax, reps are equipped to be efficient and accurate with all their quotes. For more information on the connector, please visit http://www.avalara.com/integrations/sugarcrm/.